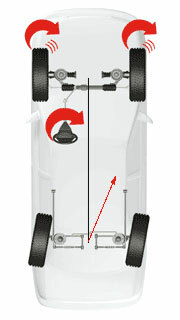 A common result would be that the vehicle would "dog track" and possibly "pull" to the side. 2. The steering is centered. 3. 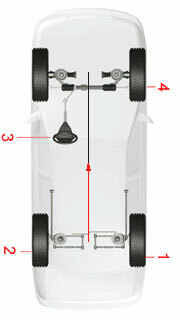 Front wheels are referenced to rear thrust line and set to specifications. 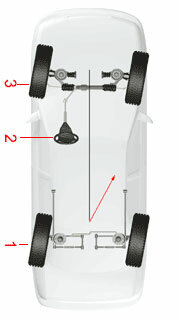 Result - All four wheels are parallel and the steering wheel is centered. 4. 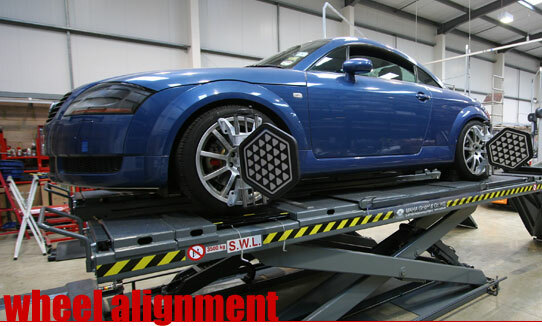 Front wheels are referenced to the rear thrust line and set to specification.